Just in case I go into labor before Christmas (which there is a very high probability of), I thought I would post my virtual Christmas card for everyone. I hope you all have a wonderful holiday (or HAD one if you celebrated Hanukkah)! Adorable family photo. A baby boy for Christmas would be perfect. Hope it happens. We blessed my son last Christmas day, and it made the blessing seem even more significant. 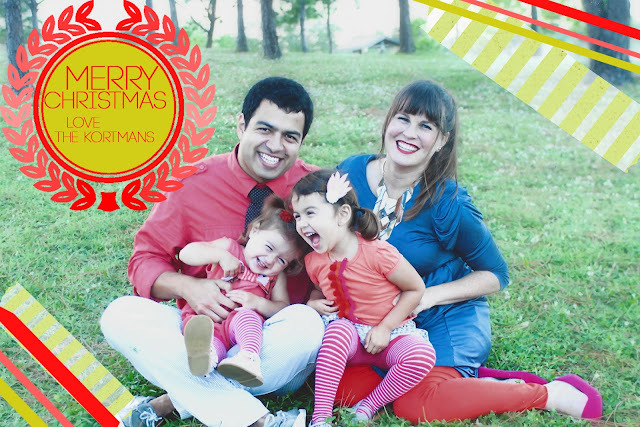 Love your beautiful family Christmas card! Can't wait to hear the news!! !